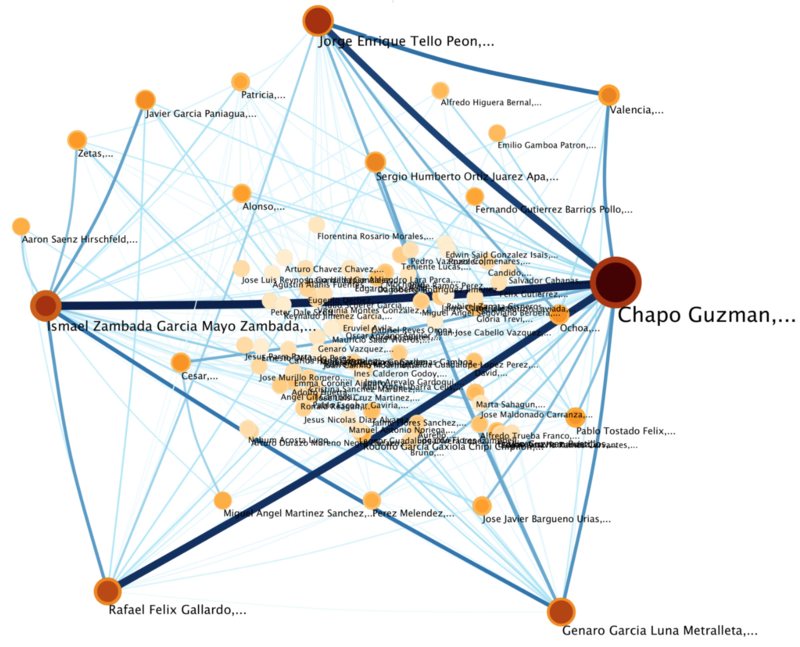 Text: "Los Señores del Narco"
in the text within 200 characters of each other. *Edges are sized by how many co-occurances between two actors exist. Fig. 1. Mexican narco-network constructed from the book "Los Señores del Narco" by Anabel Hernandez. Jesús Espinal-Enriquez, J. Mario Siqueiros-Garcıa, Rodrigo García-Herrera, & Sergio Antonio Alcalá-Corona. "A literature-based approach to a narco-network". In Social Informatics, pages 97–101. Springer, 2014. Not to mention all the City and Locally elected politicians. Mayors, city councilmen, etc. As of 2012, the GDP of Texas puts it in the top 20 richest countries of the world, just below Spain. ...but it can beat them senseless as well. ... and won by a landslide; by a margin of 20%! How much would a citizen need to read to keep up with the politicians who represent them? What about the biases of those news sources? more likely, the daunting prospect of gathering all the pertninent and trust worthy data in one spot to be able to then absorb it and make an informed decision? and present the prevalent themes which exist within the articles found for that politician. The list of politicians and news sites to use is completely up to the user! with weighted edges in political contexts. Heterogeneous refers to the existence of different node types that will compose the graph. For instance, nodes (also refered to as "entities") in our system will be labeled as People, Organizations, Politicians, Locations, Bills, or Miscellaneous. Edges represent article text co-occurences between two entities. Some leveraged paid-for search engine results, only processed the first twenty results for each query and then only used the snippet of text present in Yahoo’s search results page as opposed to all the content within the actual article itself. We were unable to find any work that leveraged the publically available search engines present in most news websites. By utilizing this mechanism, our tool allows the flexibility to create a context in which to search and by doing so, to curate the content to a user's exact needs. 2. topic modeling to infer relationships of interest. Topic modeling approaches allow for relationship "across articles", but are very noisy. is interesting and left for future work. dm (optional) which distance metric to use. possible values: ss, sn, all, comb . corresponding to Same Sentence, Same or Near, All Co-Occurences, Proposed Combined Metric. Defaults to "All"
Betweenness number of shortest-paths that pass through a node. Transitivity / Clustering Coefficient how many of your friends are friends with each other. "connectedness"
Louvain fast nondeterministic "community detection" algorithm. it is a greedy optimization method that attempts to optimize the "modularity" of a partition of the network and runs in O(nlog(n)). Modularity how good is the overall quality of separation for all communities. within modules but sparse connections between nodes in different modules. Edges in extended graph are all weighted according to the proposed "Combined" metric! t only show edges with weight greater than or equal to threshhold t. Defaults to 15.
cl number of communities to discover in network. Defaults to 25.
Who (Are These People) You Elect? given the data we obtained for our list of politicians? 1. Determine the importance of politicians/entities via Network Analysis & centrality measures. but would not provide a simple summary of the issues & topics surrounding each politician. 2. The Text Mining approach is not entity based & is a better complementary approach. are terms that occur in the corpus & a cell is the # of times a term appears in an article. 3. Use this to calculate the TF-IDF (term frequency–inverse document frequency) of the corpus. information or inversely those that occur vary rarely and could be noise. It's an art. (ie, issues, latent concepts) within the articles for a single politician. LDA assumes that words in documents are generated by a mixture of topics with each topic itself being a distribution of words. Here the number of topics is fixed initially and after it is run, each article in the corpus of a politician is assigned a topic. 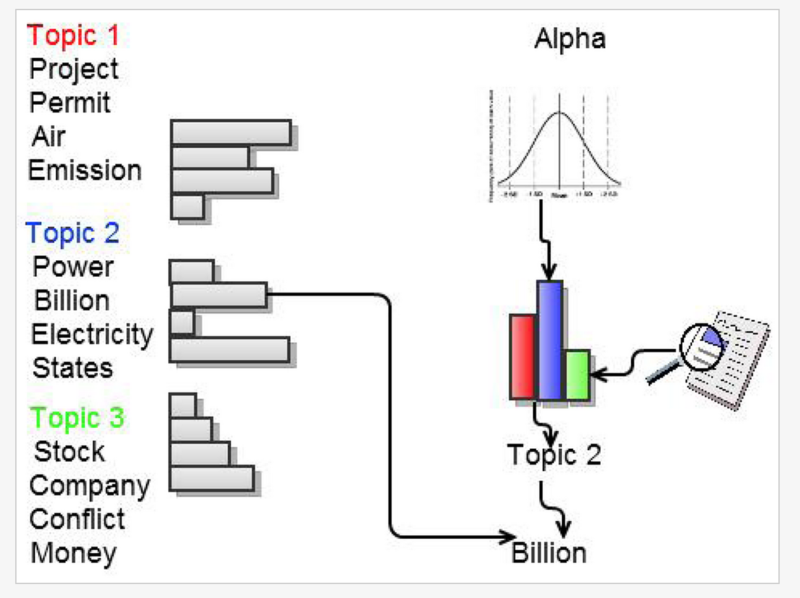 Each topic is a set of words ranked by the probability of a word occuring. the most frequent topics serve to summarize a politician's "issues". LDA with 3 topics and 4 words per topic. most associated with the word ... ? The optimal value is specific to each politician & the analysis one wants to present. the thresholds used in determining which terms to keep in the refined corpus. Then we could label all communities in this way and gain a global view for understanding & comparing them. One way to do that is by treating the articles of a given community collectively as a single corpus. namely an initial TF-IDF procedure to filter terms and reduce noise, followed by LDA to derive topics. and thus we can weigh these articles and their text by their relative importance in the community. python webscrapers used in obtaining articles. In the end, this gives us the metadata for all the politicians we want to look into as JSON text documents, but this could have just as easily come from a CSV file that was manually created. These APIs were leveraged for their richness, ease of use, and for reproducability with other US states. 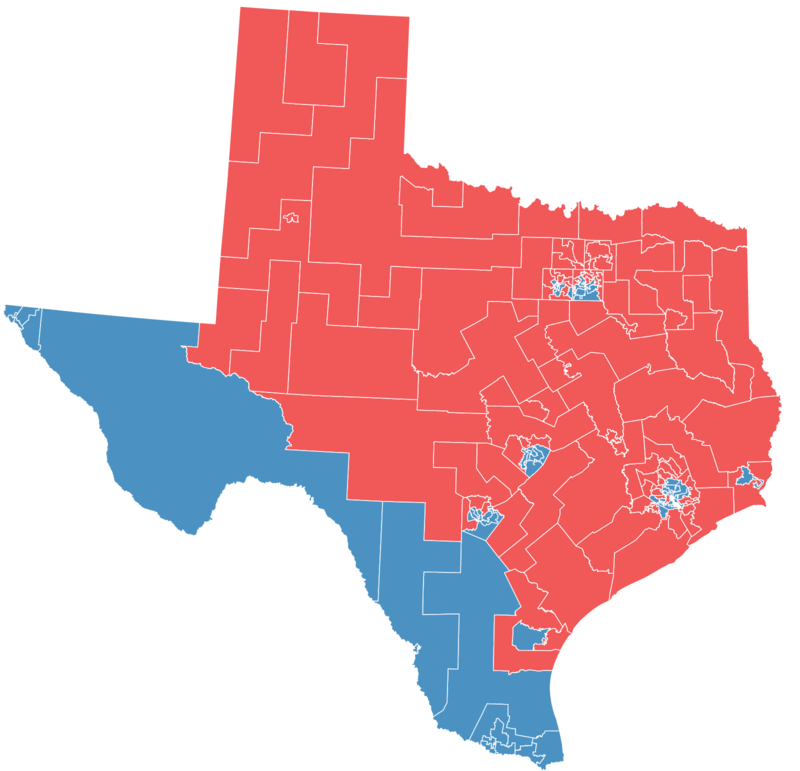 A subset of Texas newspapers with the highest circulation, the Dallas Morning News, Houston Chronicle, and the Austin American Statesman representing some what the spectrum of conservative, centrist and progressive areas within Texas were selected along with two sites, the Texas Observer and Texas Tribune which focus on Texas politics and issues. In addition, the New York Times was selected to provide an outside context. a user of the tool gets to select any news source they wish to use. Two template "web scraper" solutions are provider, and a technical user of the tool can modify the appropriate one to fit the needs of the site they wish to include. First to avoid confusion, an Entity is one Politician from our list. which for each news source, downloads a list of article urls available from its internal search engine. before importing it into MongoDB. 1. filters out empty articles, sports articles, and articles not containing the politician's name explicitly. 2. It then splits an article into sentences, and runs the MITIE Named Entity Recognition library over each one. MITIE finds "entities" in each sentence and gives each a tag of "person","location","organization" or "misc". and if so we tag them as "politician" or "bill". dictionary of all distinct entities found in the article. the same sentence, within three sentences, or outside of that distance for all entities in the dictionary. 5. At this point, the article has been processed and we merge and save it locally. proceed to step 3.6 which creates two datasets for the afformentioned network views. 1. a tool that generates real world political networks from user provided lists of politicians and news sites. 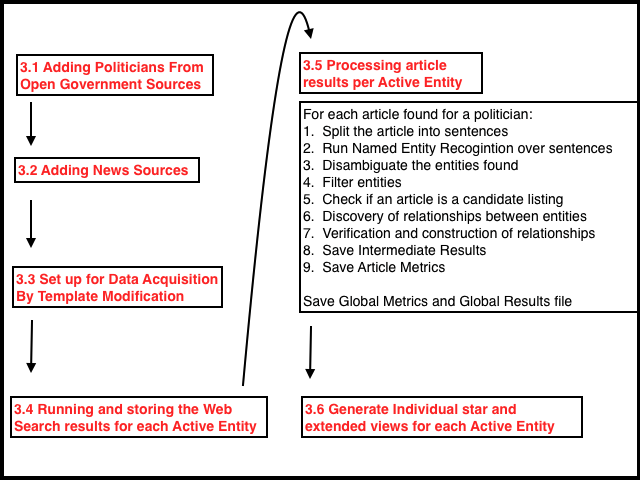 2. enriched with data obtained from open sources to provide structure via verified politician meta-data. 4. a “Combined” distance metric to better assess the strength of relationships between actors in a graph. 5. an automated summarization tools to extract topics and issues characterizing individual politicians. 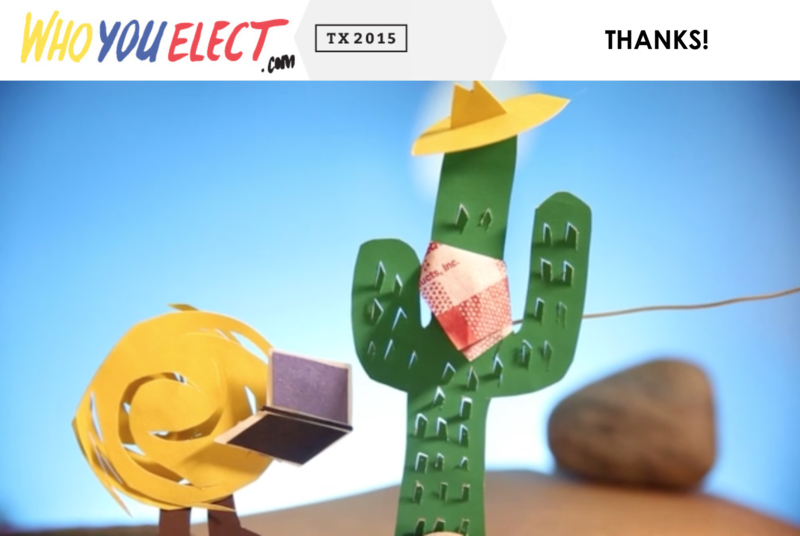 Voters: a simple and trustworthy mechanism for voter education. Researchers & NGOs: construct and tailor real world graphs of their exact choosing to study. System based entirely on open data & tech. but now I'm able to quickly gain a fairly good idea of any politician here, provided that sufficient articles were processed for them. That is very powerful and quite useful especially when attempting to understand a politician’s history given our 24 hour news cycle. 3. all articles aren't equal, and as such weighing article relations differently is very important. 7. refactoring text-snippet solution for better scalability. 8. developing mechanism for downloading, processing and adding new articles for existing politicians. “author of bill”, “member of committee”, etc.) for more robust network analysis.